Adventures of War: With Cross and Crescent (1912) is, as I remarked a few days ago, the work of two British journalists who travelled eastwards to see the war. 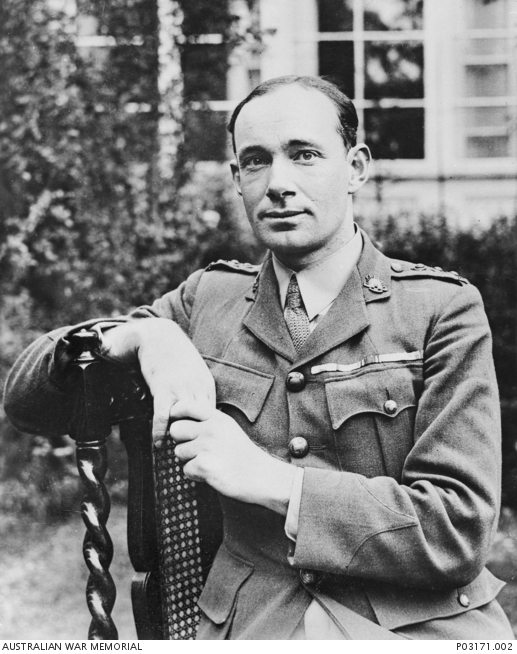 Philip Gibbs, later to be one of the most notable correspondents reporting the Great War, was with the Serbians and Bulgarians, and sending reports back to the Daily Graphic; Bernard Grant was a photographer for the Daily Mirror. On the other hand, the book gives a very good idea of the problems, frustrations, comedies, excitements and occasional moments of terror that were part of the war correspondent’s life in the early twentieth century. There is a great deal about his battles with censors and bureaucracy. Correspondents were welcomed in principle, but kept as far from the action as possible, and were not trusted. flung off their heavy coats, and threw down water bottles, knapsacks and all impedimenta, so that they might have free play with the bayonet; and again and again, reckless of death, charged with fierce exultant shouts, only to be swept back by a withering fire. Seven times the Bulgarians swept up to the Turkish position and seven times they were driven back by the enemy’s battalions. When for the eighth time the Bulgarians began to storm the positions, the Turks, whose far-extended artillery was almost silenced, were so shaken that only a crippled resistance was offered. In Gibbs’s account, the infantry bayonet charge, which in the Great War two years later would so rarely succeed in breaking the enemy’s line, is here the war-winning weapon; the persistent aggression of the Bulgarians breaks the morale of the poorly-equipped Turks and sends them into ignominious retreat. [T]he countryside was covered with bands of men who had lost their regiments, with wounded men crying in vain for help, and dying for lack of attention, while those who had strength to walk searched vainly for any red cross camp or military hospital. Worse still for those who were to fight again, the Turkish army was already starving, for with an utter lack of organisation the transports had gone astray, and the Turkish soldiers were left to their fate without food except such nourishment as they could get from raw maize. A great bird flew across the sky towards the city, and as it flew it sang a droning song like the buzzing of an enormous bee. This was a monoplane flown by a Bulgarian aviator who had volunteered to monitor Turkish defences. It got through shellfire unscathed, Gibbs tells us, but crashed on its way home. Gibbs also descibes the military use of an airship. I had wondered whether this was the first military use of aeroplanes, but apparently the Italians had used planes againt the Turk (and even for bombing) in 1911. Much of Gibbs’s personal account is the description of his battle with the censors who wanted to limit his movements and keep him away from anything interesting. Accounts of British military censorship in the Great War are often indignant about the restrictions on reporting; this book shows that antagonism to journalists was pretty well to be expected from the military of all nations. Bernard Grant’s half of the book describes his travels on the Turkish side. Gibbs gives a much fuller picture of the general progress and conditions of the war. Grant tells his own story – and it is an adventure story worth reading. And here I must pay tribute to Wilkins of the cinematograph, one of the best companions in the world, because of his continual cheerfulness, his knowledge of handicraft, and of all rough work and outdoor life [….] If a cart broke down, it was Wilkins who set it up again. If it overturned it was Wilkins who put it on its wheels again. If horses stampeded in the camp, it was Wilkins who was first to come to the rescue. [T]he road of retreat was a Doleful Way. There was no real road at all, but only cart-ruts across the open country, and beside it lay dead and dying men and horses. Flocks of carrion crows were hovering about waiting for their banquet of death. Later on I saw the wolfish dogs of the countryside already eating the flesh of these victims of war. The retreat of the demoralised Turks is a terible sight: ‘Never before had I seen men so mad with fear’; the ‘rabble ranks of soldiers’ pay scant attention to the officers who try to drive them back into battle. 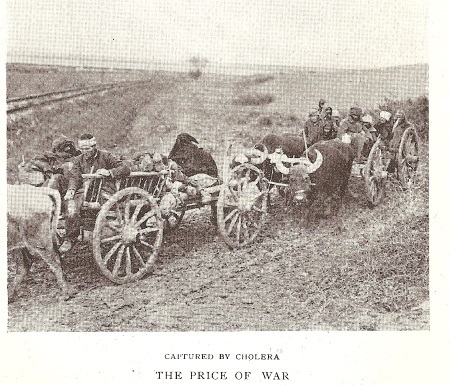 The horror becomes greater when cholera spreads among the fleeing soldiers and civilians. Since reports like these were appearing in British newspapers, we should not believe any historians who claim that the British public had no idea of the dreadfulness of war. The call to the colours had been answered by the peasants, by the townsmen, by clerks and by shopkeepers as though it were an invitation to a national festival in which religion was mingled with merry-making [….] A holiday feeling was in the air. Soon, inevitably, he will be describing the return of the shambling wounded. In crucial ways, though, this war is different from the Great War, in that it was one-sided. The Turkish army crumpled under pressure. The fighting was terrible and vicious, but it was soon over, because the actions were decisive. Was this what the Kaiser expected when he pushed through the scantily-defended Belgian border into France? A fast and deadly war of movement in which superior German men and equipment would knock the French for six? Thse Balkan wars must have encouraged the assumption that wars would be swift-moving, and swiftly decisive. But it just didn’t happen like that. This entry was written by George Simmers and posted on February 4, 2015 at 6:23 pm and filed under History, newspapers with tags Philip Gibbs, war photographer. Bookmark the permalink. Follow any comments here with the RSS feed for this post. Post a comment or leave a trackback: Trackback URL. That was the standard theory of war before WWI- the side whose morale collapsed lost and the way to break morale was by obsessive aggression. The French doctrine of the offensive, which led to so many deaths in the first weeks of the war was the most extreme version, but all the armies subscribed to it to some degree. Kitchener’s greeting to journalists- “Get out of my way, you drunken swabs”- in the Sudan didn’t seem to affect his popularity with them then. Among the armies most suspicious of correspondents was the French, who blamed reports in the Times for giving away crucial information about their movements in the Franco-Prussian war.